25 Interesting facts about CK Nayudu – The father of Indian cricket: CK Nayudu was perhaps the first world-class cricketer to represent India in Test cricket. He was an instrumental character in getting India the Test status and played first-class cricket until the age of 61. If the pillars of Indian cricket are strong in the modern era, the credit must be given to such individuals. He captained India when they made their Test debut in 1932 against England at the Lord’s and that remains his fondest memory among cricket fans. Let us salute and give a glowing tribute to a true legend. The best way to do that is to have a look into his cricket career and life in detail. Cottari Kanakaiya Nayudu was born on 31 October 1895 in Nagpur, Maharashtra. His first-class debut was in 1916 during the Bombay Triangular after performing well for his high school team. Nayudu was especially strong driving, bowled accurately at slow-medium pace and was a fine fielder. In 1923, the ruler of Holkar invited him to Indore and made him a Captain (land and air) in his army, conferring on him the honour of a Colonel in Holkar’s Army. a blistering 153 in just 116 minutes by Nayudu changed the complexion of the match. The MCC presented him with a silver bat in recognition of that innings. The knock of Nayudu provided palpating evidence that India was a force to reckon with in world cricket. When the Maharaja of Porbandar who was selected as the captain the team on India’s first tour to England in 1932, fell ill Nayudu was given leadership duties. This made him nation’s first Test captain. Nayudu played 3 Test Matches against England in the year 1933-34 and 3 yet another matches against the same team in the tour of 1936. During which, he scored over 1000 runs and managed to grab 51 wickets. Nayudu once again played a vital role during the MCC tour to India in 1933. Playing for Vizianagaram, he inflicted the only defeat of the MCC on the tour when he snapped up 4/21. In his final Test at the Oval, Nayudu scored his first and only fifty when he smashed 81 in a losing cause. He was still playing the Ranji trophy at the age of 60 and in his final appearance in the 1956-57 season, he made 52 for Uttar Pradesh. His final outing was in a charity match in 1963-64, when he played for the Maharashtra Governor’s XI against the Maharashtra Chief Minister’s XI. He died in Indore on 14 November 1967 at the age of 72. 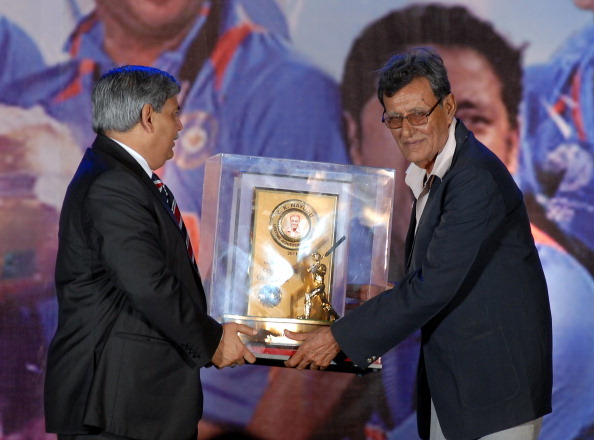 The CK Nayudu award is the highest and most revered award for captaincy and lifetime achievement in India. The BCCI has named it in his honour and services to Indian cricket. India, Andhra, Central India, Central Provinces and Berar, Hindus, Holkar, Hyderabad, United Province. He was also the first Indian cricketer to endorse a brand (Bathgate Liver Tonic) in 1941. In 7 Tests, he scored 350 runs at an average of 25 and also took 9 wickets. However, he has a commendable record in first class cricket, scoring more than 10,000 runs and taking 411 wickets from 207 matches. CK Nayudu also excelled in Hockey and Football. CK’s close buddy Syed Mushtaq Ali known for his valiant and dashing cricket played with CK in several games jointly. Mushtaq Ali tenderly called CK- a tiger on the ground. He is one of the hardly any cricketers to have played the first class match in six different decades. From the 1973-4 season, the national Under-25 championship has been known as the CK Nayudu Trophy. The CCI Banquet Hall has also been named after him. His brother, CS Nayudu, has also played for India. They are the first siblings to play for the country.